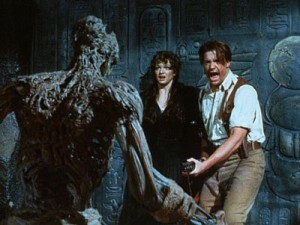 Universal Rebooting ‘The Mummy’ Franchise!!! Universal is planning a reboot to their ‘Mummy’ franchise and they hired the ‘Prometheus’ writer, Jon Spaihts to pen the script. “I see it as the sort of opportunity I had with ‘Prometheus’: to go back to a franchise’s roots in dark, scary source material, and simultaneously open it up to an epic scale we haven’t seen before,” said Spaihts. Is this a pattern we will see from Universal? Will they be going back to their catalogue releases and making prequels now? I certainly hope not. Sean Daniel will return to produce the reboot. The three previous films have grossed over $1.2 billion worldwide. Each film has gross over $400 million. So it’s inevitable to keep making sequels, prequels, and anything else with this franchise. No word on casting or a director yet, but I think we’ll be hearing something within the next few weeks about it. Your thoughts? This entry was posted on Wednesday, April 4th, 2012 at 5:37 pm	and is filed under Film, News. You can follow any responses to this entry through the RSS 2.0 feed. You can skip to the end and leave a response. Pinging is currently not allowed. « Q & A with Ricky Gervais!! !